Opportunity and position information: Signing Bonus of $500 to $1500 depending on ability and experience! Auto Technician needed! No weekends! German Automotive experience needed. Progressive, growing, independent, 6 bay, soon to be 9 bay, automotive service facility near downtown Ann Arboe is looking to add a new member to our team. We service Mercedes-Benz, BMW, MINI, Audi and Volkswagen. Position requires 5 years of automotive Technician experience. 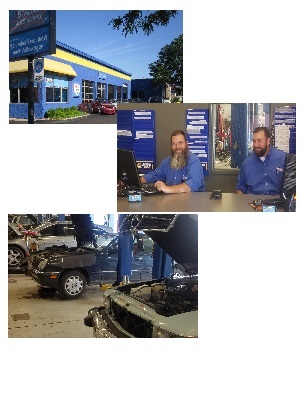 Stadium Auto is one of our three repair facilities in Ann Arbor, each shop with its own focus/specialty. This is a great opportunity to escape the large corporation and work in an awesome team atmosphere with competent co-workers. - 5 day work week; NO Saturdays or Sundays! Even if YOU have never worked in an independent shop, we invite you to talk to us to find out more about our shop, our area and this opportunity! Submit YOUR resume with confidence that all contacts with us are completely confidential. Principals only. Recruiters, please don't contact this job poster. do NOT contact us with unsolicited services or offers.